When George Harrison's slight autobiography I, Me Mine was first published in 1980 as a limited edition hardback his onetime friend John Lennon was livid. 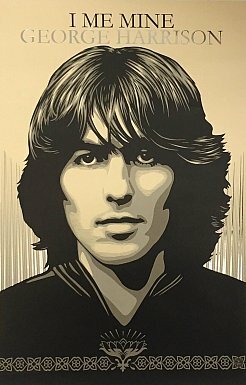 He said George had barely mentioned him (true, just 11 single references in about 80 pages of text, and there in only half a dozen of the many photos) and Lennon was angry that the kid he got into his band would be so ungrateful. 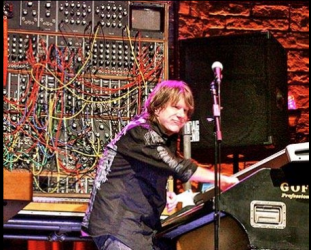 But there had been simmering tension between the two for a very long time, not just stemming from the latter days of the Beatles but Lennon not turning up to appear at a '74 Harrison concert in New York, a week after he'd done his cameo with Elton John in the same Madison Square Garden venue. There had been an arrangement to sign some legal documents pertaining to the wind-up of some Beatle business but at the last minute Lennon told his partner at the time May Pang to tell Harrison he couldn't make the signing because his astrologer had advised against it. That seems to have been the last time they spoke and six years later, just months after the initial run of I, Me, Mine appeared, Lennon was dead. It is an odd autobiography, more like a quick skim through Harrison's life where Indian music and philosophy, his love of Formula One motor racing and gardening get more space than just about everything else. Eric Clapton gets as many references as Lennon and more than McCartney and Starr. 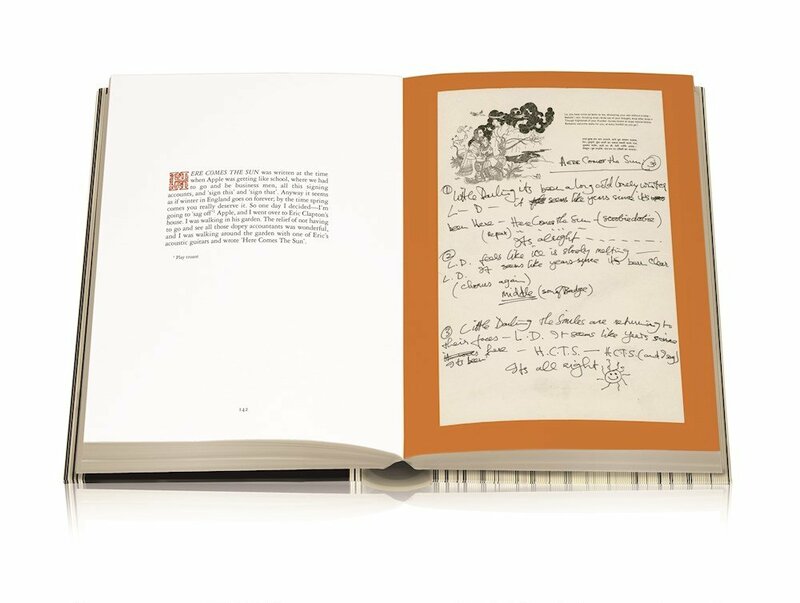 Most of the book was taken up by Harrison's lyrics (in the Beatles and beyond) as well as reproductions of some of his handwritten words with scratchings out, doodles and brief comments on the where and why for a number of them. 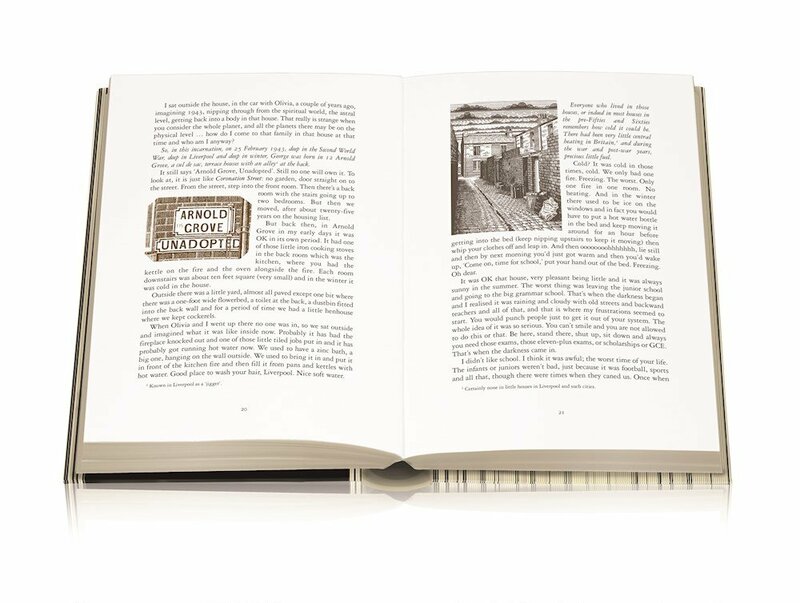 This beautifully presented, expanded edition replicates the first book – which appeared as more modestly priced hardback in '82 – but adds in the many songs he wrote after Blow Away which is where the first one ended. There were three more albums in that period until his death in 2001, and a final one Brainwashed released posthumously. Few of these lyrics have his brief explanations but, interestingly for a man who seemed to find the Beatles had been a major imposition on his life and well-being, he often wrote reflectively about all that he had been through in that period. And sometimes angrily. He also wrote pretty silly songs (for Monty Python pals) and of course plenty about his philosophical and religious beliefs. There are no Wilburys' lyrics. As a songwriter Harrison often had a way with a melody but frequently his lyrics were strained by the intellectual depth he loaded them with. At other times there was an elegant simplicity and subtle wit. But most of the songs in his final years failed to connect with any audience, not former fans or a new generation. His work was never without interest however but the man himself isn't be found in I, Me, Mine any more than say John Lennon was locatable in his own writings. 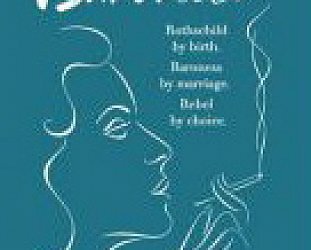 The private Harrison was someone else and the biography Behind that Locked Door by Graeme Thomson is a better place to discover better who he was. And, if you are only aware of the benign gardener who meditated and thought deeply about the world, then it comes as quite a shock. There is more at Elsewhere about George Harrison's career: see here. WINGS. 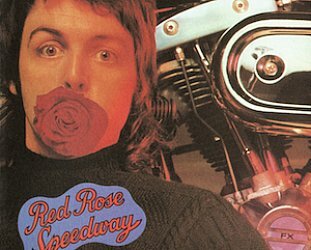 RED ROSE SPEEDWAY REISSUED (2018): The malaise or just lazy?